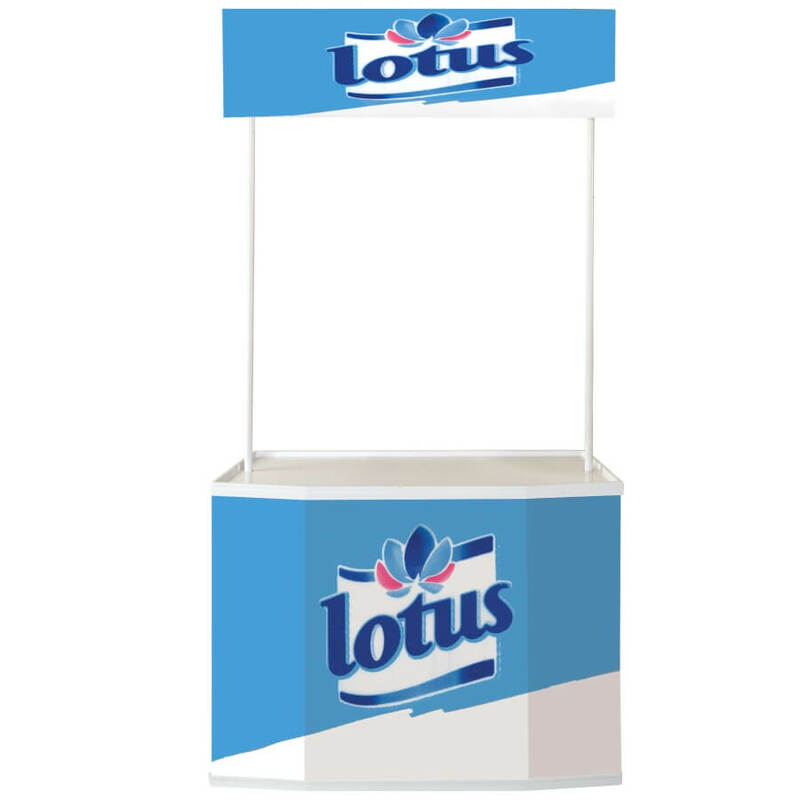 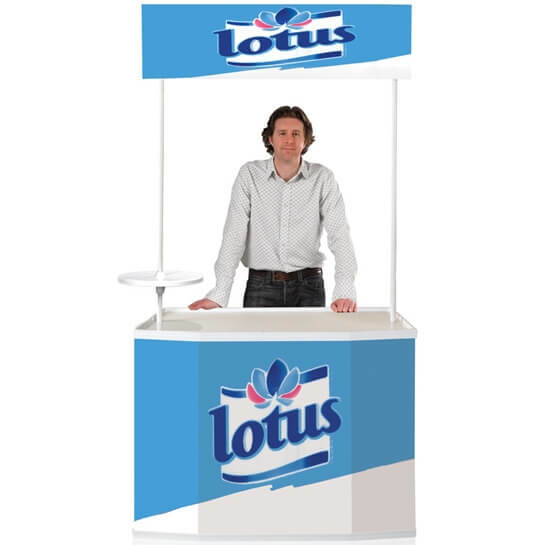 The Plus is the second largest promotional counter in the Promotor range with a width of 1235mm the Plus features a reinforced top to create a sturdy display area. 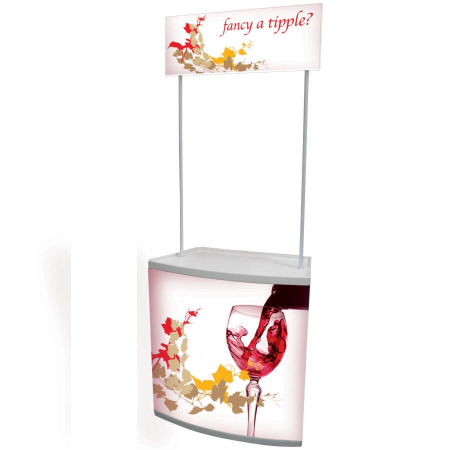 An additional display area can also be added with the optional round tray which is supported by the existing header poles. 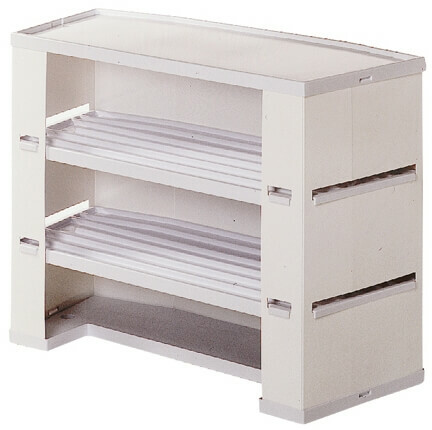 With a White finish, the unique Promotor Plus is suitable for use with food as covered by the directive (90/128/ECC) relating to plastic materials and articles intended to come into contact with foodstuffs. 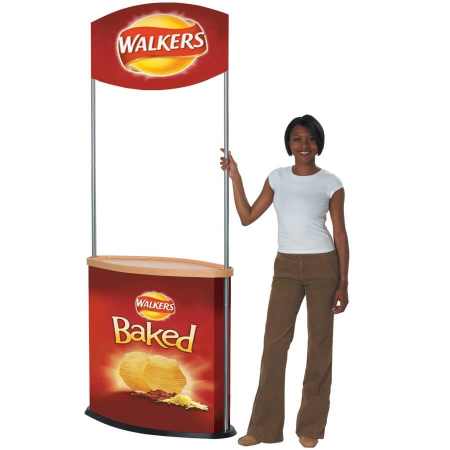 For discounts on bulk orders or help with your graphics design, please contact one of our sales advisers. 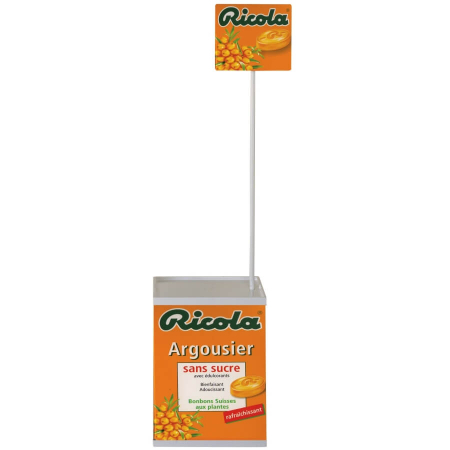 Interested in a cut-out header? 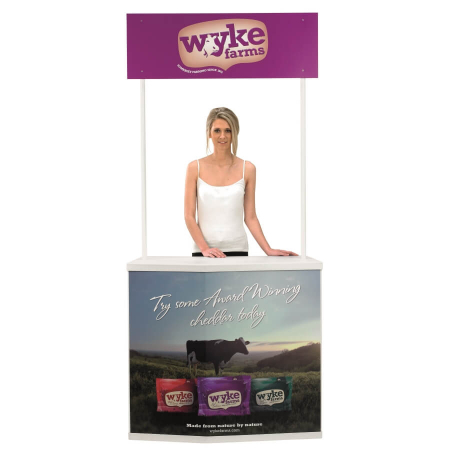 Take a look a the Dark Horse image where you can see an example of a Promotor Plus with a cut-out header panel.